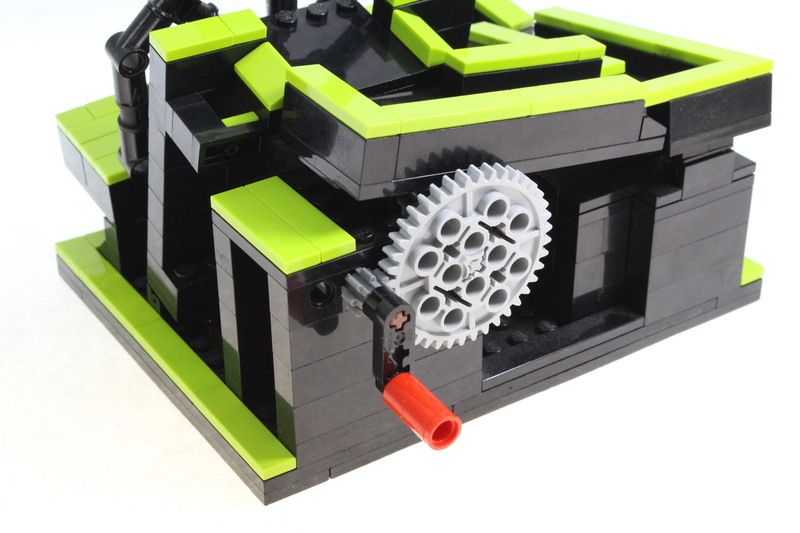 This Is a LEGO Marble Mini Loop. 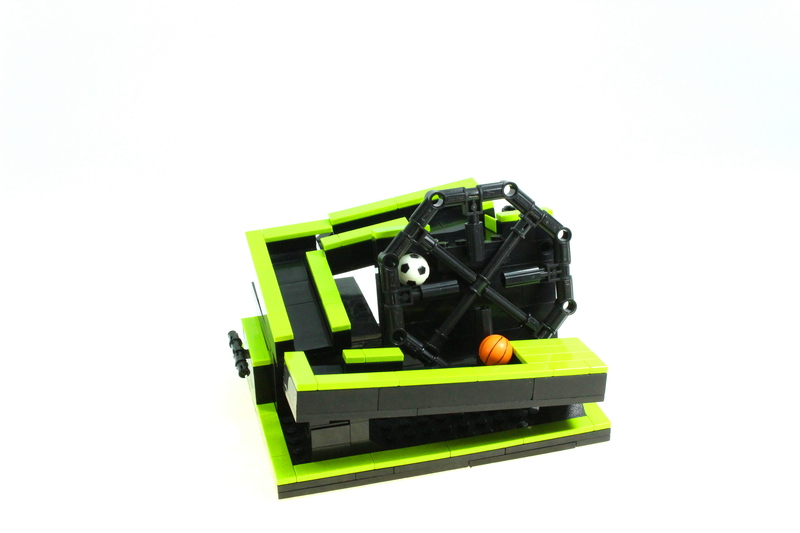 It can be driven with a hand winch or a LEGO Power Functions Motor. 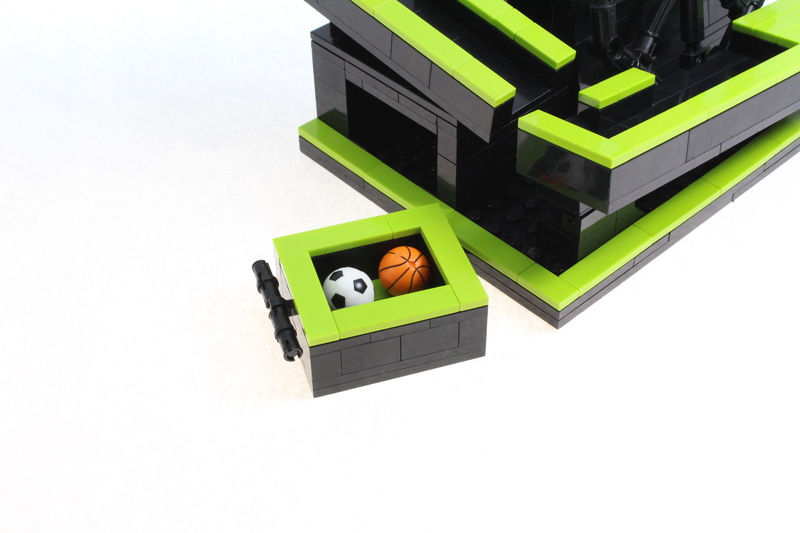 It uses two balls to show its mechanical movements. Using a storage container on the side for the balls and hand winch. This project is small enough and strong enough to easily transport and the recycling of the balls keeps the spinning lifter always filled.